"Bill Belichick is rich, but he dresses like a homeless person. He's basically my hero." "Come to New York and you'll see all the plebeians and their Jason Pierre-Paul jerseys. That also happens to be my boyfriend's name. No, just his first name. Jason-Pierre-Paul." "Small-market franchises are the best franchises, especially ones that never win. Less fans, less mainstream." "You live on land? Land? Next thing you know, you'll be telling me your favorite underground band is Mumford & Sons. Yuck." "We used to be the Houston Oilers until 1998. Good for us for shedding such a filthy capitalist name." "I was trying to pick a number to put on my cashmere Texans jersey. I thought I should follow Matt Schaub's example, so I picked 6." "Just look at Andrew Luck. 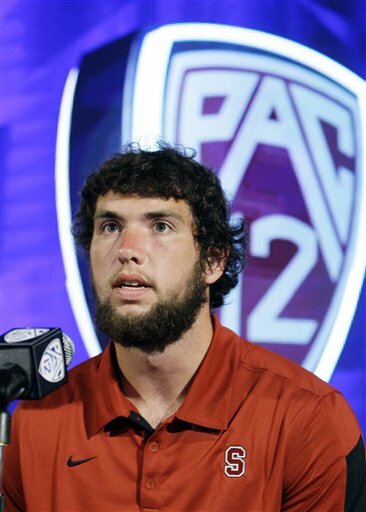 If that beard doesn't scream "owns a local microbrewery in Zionsville," I don't know what does." "Can you name a single player on the Jaguars besides Maurice Jones-Drew? That's what I thought." 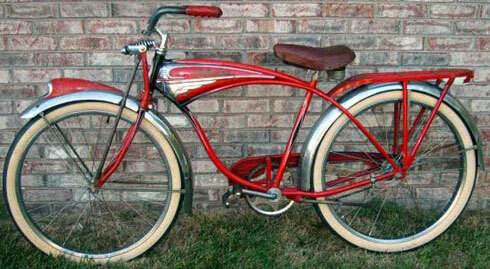 "Andy Dalton's nickname is the Red Rocket, which is also the nickname of my vintage Schwinn Phantom." Well played, Andy. "The helmet is now as much of an eyesore as watching the Browns play." "My Subaru gets immaculate gas mileage. Franco Harris would be proud. Not that I care. I don't care what anyone thinks." "You're not a true Ravens fan until you've been shot at least three times." "Andy Reid is terrible at time management. Then again, I'm 35 and unemployed, so I can't judge him too hard." "Another year, another playoff loss. I call this my "tear coaster." #filter"
"Peyton Manning has more records than my vinyl collection." "None of my scarves match my black and silver space pirate outfit. Whatever, I'll just listen to the game on the radio." "Eli Manning is the less popular Manning brother. I love him for that." "I originally thought that The Silver Linings Playbook was called The Silver Linens Playbook. More disappointing than Chip Kelly's offense." "Everything's more mainstream in Texas." "If RGIII needs a new leg brace, I've got a few pairs of skinny jeans he can have." "Matt Ryan's nickname is Matty Ice, which sounds too much like Natty Ice, which is for plebeian bro scum. No thank you." "What do you call gluten intolerance in a pirate?" "Seven Sea-liac disease. You didn't laugh? Me neither. Laughing is stupid." "WHO DAT? WHO DAT? WHO DAT? No one knows, they're too underground." "I wear a scarf because it can get cold down here in Charlotte. Why, just yesterday it was 65 degrees. Also, my 4.5% body fat doesn't provide much insulation." "We're the only publicly owned major sports franchise in North America. Also, the cheese on our heads is 100% organic and locally grown. Checkmate." "Yes, my moustache looks just like Mike Ditka's. No, I don't want to join your little Superfans club. Clubs are for sheeple." "Detroit's population has gone down by 25% since 2000. Does that mean it's going back underground after being mainstream?" "I'm squinting because I left my Ray Ban Wayfarers at home by accident. Oh well, it's not like I'd be able to see a passing game anyway." "Russell Wilson is getting a new contract next season. It's a 7-year deal that includes a fair trade clause." "The Catch is the greatest play in NFL history. Pitchfork agrees with me: they gave it a 6.4 out of 10." "I hate it here. The sun is destroying my pale complexion. Also, the energy consumption of all of the A/C units is appalling." "Remember the Greatest Show on Turf? That wasn't turf. It was wheat grass. You're welcome." Why Do You Think He Insists on Doing His Own Hair?